Latin American politics for the past decade has been driven by a continental debate on the merits of socialism – a debate that, thanks to the devastating humanitarian situation in Venezuela, conservatives are increasingly poised to win. The following successes of anti-socialist movements in the region, including a pivot in Washington against the coddling of socialist and communist human rights violators, inspire hope but do not necessarily suggest that what will follow Bolivarian socialism in Latin America is classical liberalism. In Colombia, what was once one of South America’s most conservatives nations, for example, a half-century-old communist terrorist group just debuted a legal, and preferentially treated, political party. Venezuela’s opposition is crippled by socialism within its own ranks, allowing dictator Nicolás Maduro to sleep well at night knowing no successor will adequately challenge him. Bolivia remains under longtime pro-coca leftist Evo Morales; Ecuador elected a socialist to succeed strongman Rafael Correa. 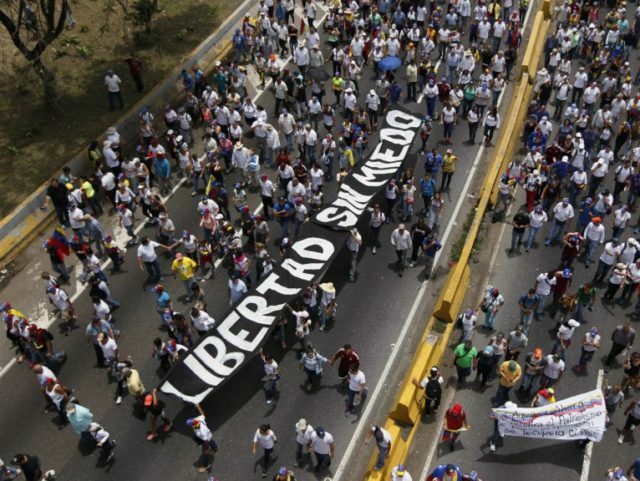 Yet 2017 proved a fruitful year for pro-freedom movements in Latin America – in large part due to leaders of the regional anti-Bolivarian socialism movement maintaining a consistent message, and to prosecutors willing to confront the crimes of Bolivarian socialists. Below, five events all pro-democracy conservatives should celebrate from the past year. The most recent cause for hope in the region, Chilean voters returned former president Sebastián Piñera to leadership on December 17 with 54.4 percent of the vote. American media may focus on Piñera’s formidable bank account or his unimpressive opponent, former television host Alejandro Guillier, but it is difficult to imagine a victory for Piñera had he not begun attacking Maduro as early as 2013 for his treatment of the Venezuelan people. Piñera accused Maduro of violating human rights while still in office that year. Once unburdened by the presidency, Piñera visited Venezuela alongside former Colombian President Andrés Pastrana in 2015, attempting to observe the conditions under which Maduro had kept political prisoner and opposition leader Leopoldo López. Maduro’s military police prevented the former heads of state from doing so. 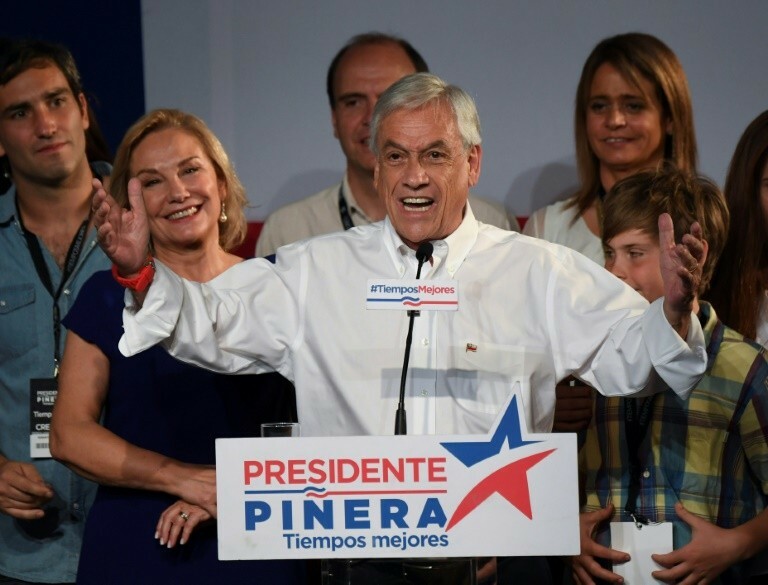 Piñera nonetheless remained on the front lines of the regional campaign to turn public sentiment against Venezuela’s brand of socialism, consistently participating in regional efforts to condemn the dictatorship. Most recently, this month, Piñera told the television show Efecto Naím that Venezuela was a “tragedy in every sense of the word” and that the region must “invoke all the legal instruments we can” and be “united in condemning what is happening.” As president, Piñera will now have the ability to participate in the regional meetings and discussions he deems necessary to isolate and collapse the Venezuelan regime. A year after those Olympics – which have all but destroyed Rio de Janeiro – Brazilian courts served Lula justice. During his presidency, in a scheme now known as “Operation Car Wash,” the state oil corporation Petrobras embezzled millions of dollars, overcharging the government on major contracts and pocketing the taxpayers’ dime privately. Courts found that Lula personally had a hand in diverting $26 million worth of Brazilian public money. He was sentenced to 9.5 years in prison. 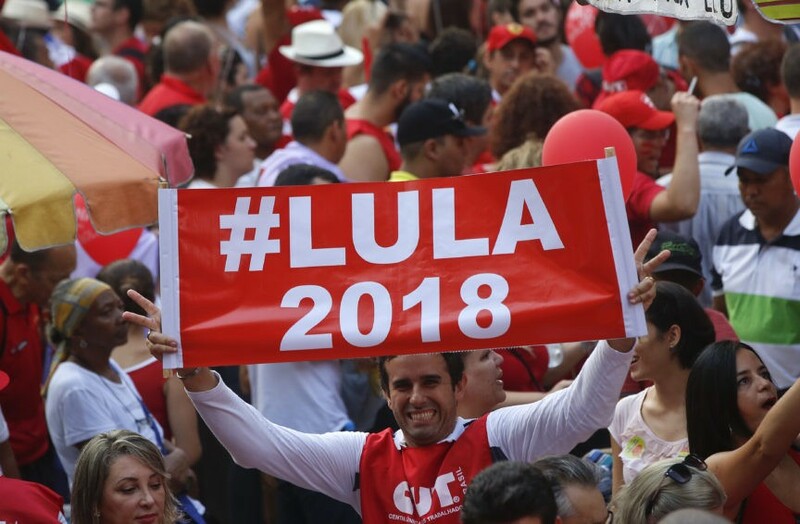 The next day, Lula officially announced a second run at the presidency, proclaiming, “I’m in the game!” Unfortunately, this story may not have a happy ending – Lula is currently leading in the polls. 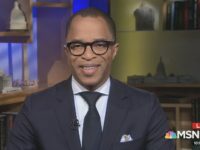 In late 2014, President Barack Obama announced that the United States would reopen its embassy in Cuba, extend offers to talks with the communist Castro regime, and seek opportunities for American business in Cuba without overtly violating the embargo. Obama’s policies created an emboldened Castro regime that engaged in even more arbitrary arrests, beatings, tortures, and other criminal activity knowing that Washington would not longer stand in defense of human rights on the island. In June of this year, that appeasement policy officially ended. 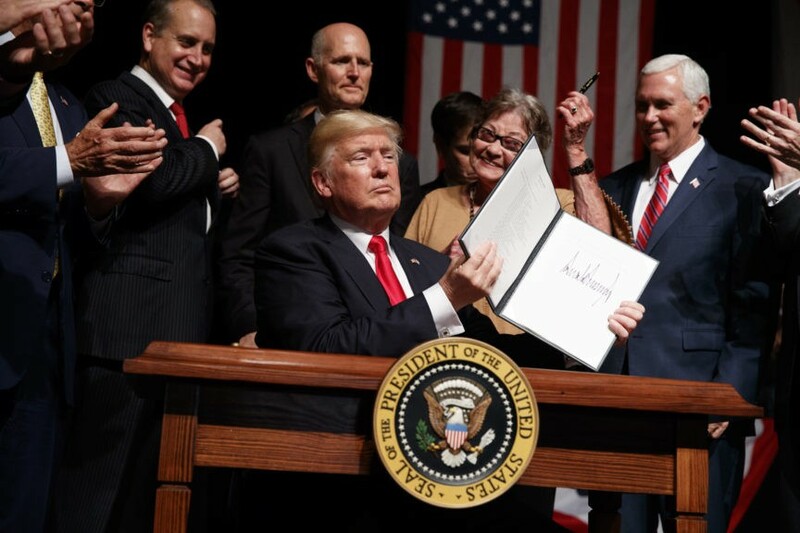 President Donald Trump announced that his administration would limit access to the Cuban market – controlled entirely by the Cuban military – for Americans. It would prioritize the human rights of dissidents and cripple the regime in Havana without harming the people. The result of the speech remains a limited one – “individual people to people” travel to Cuba is now illegal, but the U.S. embassy in Cuba was only emptied after systematic attacks on our diplomats, not immediately after the speech. But the move sends a signal to Cuba and the cabal of tyrannies it leads, primarily Venezuela and Bolivia, that they can no longer rely on indifference from Washington to continue oppressing their people. Ledezma spent most of the next year and a half in arrest– in either prison or, when his health deteriorated, house arrest. 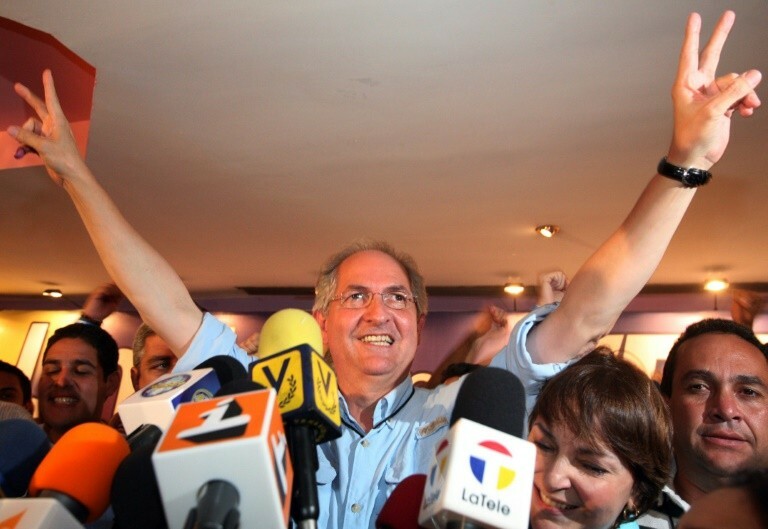 This November, however, Ledezma fled across the border to Colombia despite being under house arrest. He swiftly flew to Spain, from which he announced he was now free to condemn the Maduro regime openly and with a larger platform. “In Spain today, I feel free. 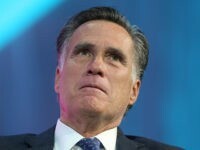 Let’s not permit that Venezuela dies in our hands,” he said upon arriving. His escape is pivotal to save a languishing Venezuelan opposition, led for too many years by “light” socialists who demanded only a little less of the oppression Maduro offered, not a totally different, and just, system. While in Venezuela, Ledezma split his party from the larger left-leaning Democratic Unity Roundtable (MUD). Out of the country, Ledezma has joined voices with conservative opposition voices like activists and former legislator María Corina Machado and former UN Security Council chief Diego Arria to call for the United States to place further sanctions on the regime, targeting its oil profits. Expect Ledezma to be a loud voice in the public arena against socialism in 2018. Like Lula above, the Kirchner tenure in Argentina was marred by rampant corruption and diplomacy that brought one of the most advanced countries in the hemisphere closer to rogue states and belligerent actors. Unlike Lula, however – as far as we know at press time – Kirchner stands accused of colluding with the Islamic Republic of Iran to protect jihadist terrorists from Interpol arrest. The story is an old one: Kirchner, during her tenure, negotiated with Iran for more favorable oil prices by offering to urge Interpol to remove six Iranian terrorists from its “red alert” list. Significant evidence indicated that the terrorists were responsible for the 1994 bombing of the Argentine-Israeli Mutual Association (AMIA), the deadliest bombing in the history of the Western Hemisphere before September 11, 2001. The evidence against Kirchner was compiled by the prosecutor in charge of the AMIA investigation, the one who procured those six Interpol red alerts: Alberto Nisman. Nisman had written a warrant for Kirchner’s arrest and a several-hundred-page report to present to Congress in 2015. The day before he was to present it, on January 18, police found him dead of a gunshot wound. The Kirchner administration deemed the death a suicide and disparaged Nisman’s character publicly in the immediate aftermath of his death. The accusations and Nisman’s fate pushed Argentina significantly right that year, but Kirchner remained free. 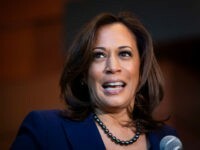 She still does – as a newly-elected senator, she enjoys legislative immunity – but her time may be running out. 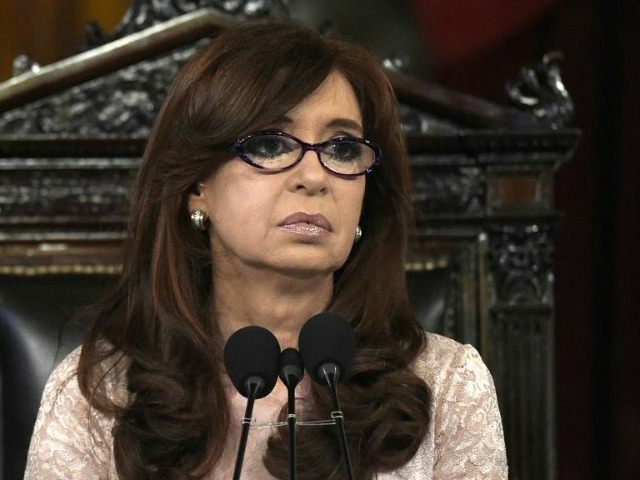 This month, using evidence from the Nisman report, a judge charged Kirchner with “treason” for aiding Iranian terrorists and demanded the Senate revoke her immunity. While Kirchner has yet to fully face justice, witnessing a court in Latin America target a former president and seek to impose the law on all citizens equally is a positive sign, and inspires optimism for the new year.